I did an earlier post about color combinations found in nature. 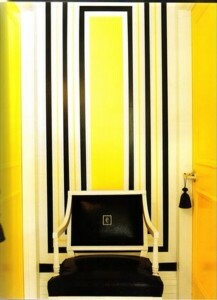 This one is on Yellow and Black and how this color combination excites the mind and spirit. Black-Eyed Susans engender thoughts of hot summer days, and dark cool nights. This fabric from Scalamandre was spotted in an antique store – it is discontinued but hopefully they will pick it back up again as it is as chic and beautiful for todays interiors as it once was. Kelly Wearstler uses this color combination to stunning affect in many of her Viceroy Hotel projects. This stunning Oriole justifies the love of Yellow and Black. L.A. Designer Christian May creates a beautiful juxtaposition with yellow Chinoiserie and Zebra stripe stools. 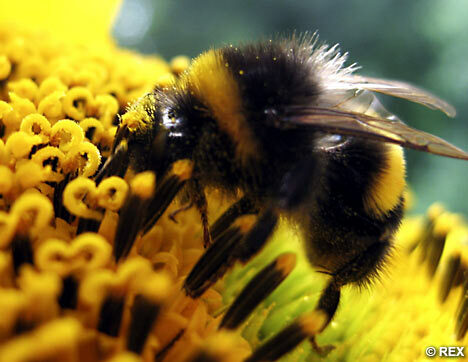 I must also include nature’s perfection… the Bumblebee! 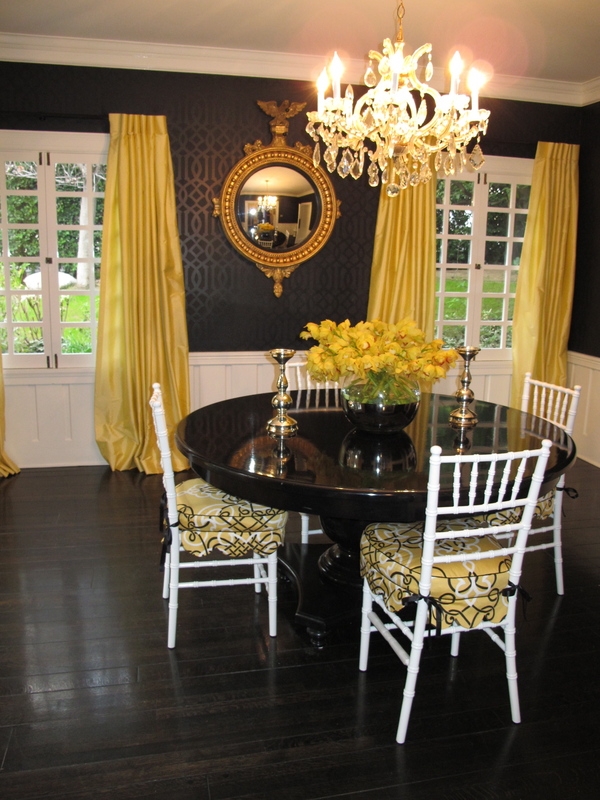 My own foray into the delicious world of Black and Yellow… Schumacher wallpaper, and Duralee fabric on the seat cushions. Are you letting some of your color-picking secrets out? Your attraction to the combination of yellow and black got my attention. I like it mixed with white or grey also, as most of your examples actually demonstrate, and it was the Scalamandre swatch that I noticed above all. Although it’s discontinued, I wondered if you know the name of it? You have a great blog. Thanks Harrison! I went to your website and saw your work. Very clever and beautiful interpretations of chinoiserie! 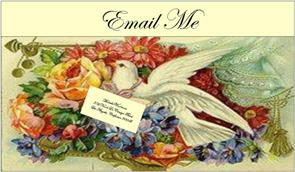 I saw that you listed Kirstie as a past client… did you do the work on her Encino house?